In today’s home design industry, trends come and go just as they always have, but certain features seem to have staying power. LED lighting certainly falls into this category. Once LED bulbs hit the scene, their popularity skyrocketed and has not dropped-off since. If you’ve been thinking about upgrading the lighting in your house, now is a great time. As you read on, you’ll learn more about the perks of LED lighting and why you should choose it for your upcoming project. The LED lighting is extremely energy efficient. More homeowners than ever before are trying to go green when they remodel their houses. LED light bulbs are more energy efficient than any other bulb option. 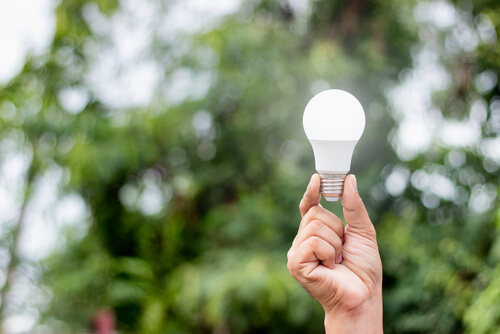 As a matter of fact, in regard to municipal usage, certain cities have found that they can save about 75% of their typical electric expenses simply by switching their street lights to LED bulbs. Imagine what will happen to your own residential electric bill by making this simple change! LED’s last for many years. Changing light bulbs is a pain, especially if you have high ceilings or a significant number of recessed fixtures in your home. LED bulbs virtually eliminate this chore, as they are generally rated to last for approximately 50,000 hours of use. To put this in perspective, CFL bulbs last about 8,000 hours, while traditional incandescent have to be replaced after around 1,200 hours. This alone is reason enough for many homeowners to considering making the switch to LED lighting throughout their residences. LED lights are more customizable than other options. One of the biggest perks of LED lights is that they allow for customized lighting schemes that are designed specifically to suit homeowners’ unique needs. They are easy to dim and brighten as needed, making them ideal to create different ambiances in versatile spaces, such as master bedrooms. They are also available in a variety of colors; some bulbs can even change from one hue to another. This is fun for kids’ playrooms and can add a unique touch in other types of spaces, like walk-in showers. 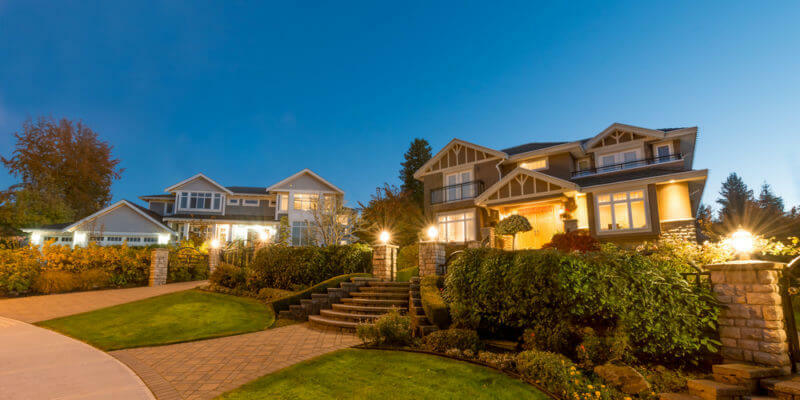 Here at Brunelli Electrician, we enjoy working with new residential clients who are interested in using LED lighting to change the overall look and feel of their homes. When you choose to work with our team, you will have guidance every step of the way as your home’s lighting scheme is put together. We can’t wait to hear from you and look forward to meeting you soon! If you’re in the mood for something new in your home but aren’t ready to make big modifications yet, then consider making changes to your lighting. It’s a quick transformation that doesn’t have to break the bank and can make a huge difference. Here are the top lighting trends for 2019, to use as suggestions for any lighting improvements happening in your home. Brass as a fixture material is very in for 2019. If gold is too much for you but you love the warm tone, consider brass. Unlacquered brass is the way to go – it will take on a lovely patina as it ages. If you do a little searching, you could find some really amazing vintage pieces in brass to brighten up your space. Lighting with natural fiber shades is very desirable this year. Woven wicker or rattan can either feel vintage or beachy, depending on the fixture and the vibe of the rest of the room. Another plus: natural fibers filter light in a soft, lovely way for a diffused feel for your space. If form and function both appeal to you, consider going a more sculptural route in your lighting. These fixtures can be so much more than just a light source – they can be statement pieces that tell you what space is all about. In an opposite realm, lighting can also be subtle and hidden. Indirect lighting is a hot trend in 2019 if integrating your lighting with your space is something that is important to you. By tucking lighting under counters, behind mirrors, or along molding, you can light spaces without calling attention to just how you’re lighting it. Indirect lighting can feel soothing and bring calm to otherwise chaotic spaces. Especially in open-concept spaces, the pendant light can serve as an anchor. If you live in a loft or otherwise open space, consider using pendant lights to help create a sense of place. Pendant lights can either be bold, or more sensible, depending on your tastes. Island chandeliers are very current for 2019, and take the concept of the pendant light and turn it up a bit. If your kitchen features a stand-alone island, consider putting a large island chandelier above it to make space feel more complete. Don’t let the word “chandelier” fool you – these don’t have to be the formal crystal affairs of traditional chandeliers. Island chandeliers can take many forms but are often modern or industrial in feel. Changing your lighting is an easy step toward making your space feel new again. 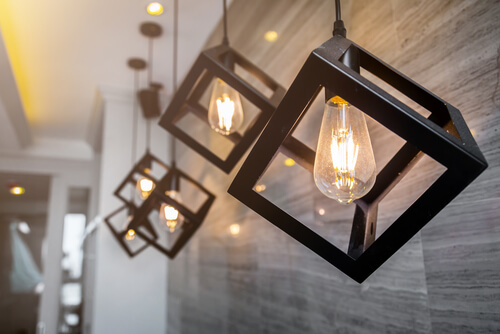 Consider these six trends in indoor lighting in 2019 when shopping for your next lighting statement! Contact Brunelli Electrician for a free estimate! If you’re considering installing exterior landscape lighting, you may be wondering if it’s worth the cost. Let’s review some of the amazing benefits that come with exterior lighting. The most obvious benefit of these outdoor lighting options are the visual benefits. If you’re trying to sell your home, adding exterior lights helps add a lot of curb appeal. If you’re enjoying the lights yourself, you’ll find that they highlight the architecture on your home in ways you’ve never seen before. Adding this architectural appeal will bring new life into your home and remind you of why you fell in love with it in the first place. Outdoor lighting allows you to better utilize the outdoor space of your home. It can create a new space for entertaining guests, or simply relaxing outside after a long day of work. Create an oasis for yourself and guests using the right lighting to transform the space. Adding exterior lighting is a proven way to deter intruders. Lighting offers nowhere for them to hide, and it will make you feel safer as you venture outside during the late night or early mornings. Investing in outdoor lighting not only improves your house in a fun way but in a practical safe way as well. You have the ability to create built-in décor with your outdoor lighting. Create an artistic array of lights which will further transform your outdoor space, and save money on décor pieces. Rather you’re a homeowner or a commercial property owner, there is no better investment than something that serves a dual purpose. If you’re considering adding outdoor lighting to your space, remember that it is a long-time investment worth making. Exterior lighting lasts for a long time and provides so many additional benefits, a one-time cost, when they’re installed, seems more than reasonable. There are many different lighting options so you can find one that fits into your budget and space perfectly. If you’re unsure of where to start, contact a local electrician who specializes in exterior lighting. They can come to view the space you have to work with and help you choose a lighting option that best fits your needs while highlighting the best architectural aspects of your space. Adding exterior lighting will increase the overall value of your space and add functionality at the same time. 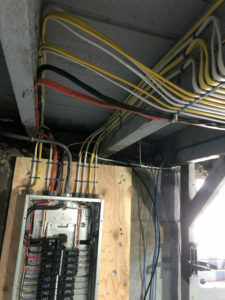 If you’ve ever lived or worked in a house that was built between 1900’s and 1950’s, it’s very likely you’ve come across knob & tube wiring. Back in the day, this technology was considered a breakthrough for the electrical industry, but the norms and standards have evolved since then. Today, knob & tube wiring that has never been replaced or upgraded is considered unsafe. 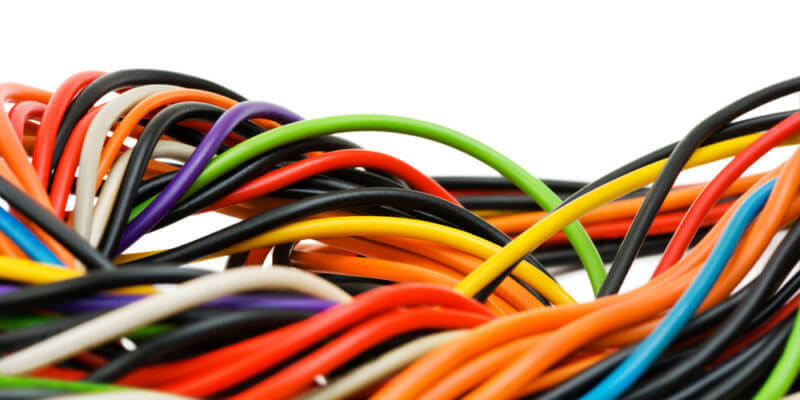 Old wiring can violate legal electrical codes and may decrease the value of your property. So, what are the dangers associated with the outdated knob & tube wiring? 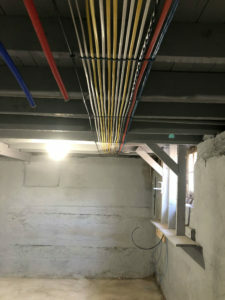 First and foremost, knob and tube wiring consists of two separately stranded wires, that run through your walls and attic, but not through the ground. 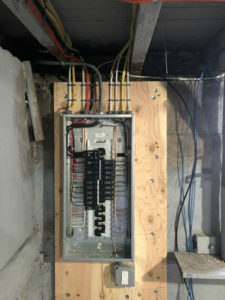 Knob and tube wiring runs through the open-air splices inside your walls under your insulation, yet there is no electrical box. This offers virtually no protection from electric shocks, overheating, or even igniting a fire. Additionally, the buildings with knob & tube wiring usually have an outdated insulation layer, and the circuitry may be impacted by plumbing or external water leaks, risking to shock the building’s occupants. Furthermore, older electrical systems didn’t carry high ampacity loads, and these extra loads that a modern home consumes might become a source of a full spectrum of electrical hazards. Over the years, if occupants wish to add more outlets to the house, electrical overvoltage is at a high risk of happening. If you consider selling your property, make sure the original knob & tube wiring is replaced with a more modern solution, as it might cost you a potential sale. The reason is, home insurance companies will refuse to cover the homes with the outdated circuitry. If you are purchasing real estate with an outdated knob and tube wiring, make sure to negotiate an agreement where a seller would provide a licensed electrician to rewire a house as soon as possible. 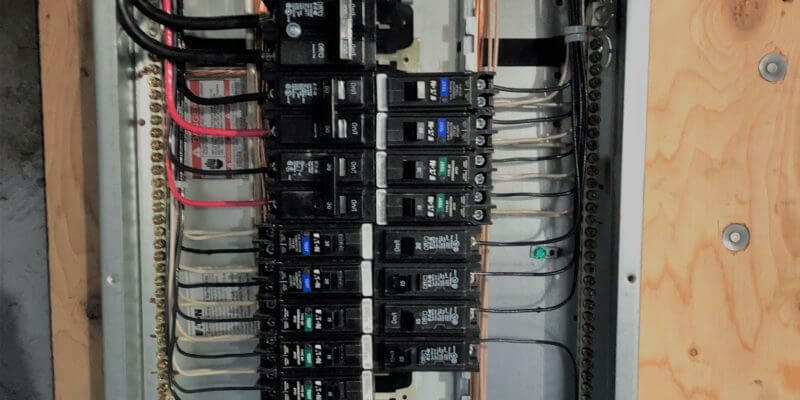 Do not think of replacing knob and tube wiring on your own, an expert should inspect the condition of the wires, connections, devices like receptacles, switches, and overcurrent protection by fuses or circuit breakers. 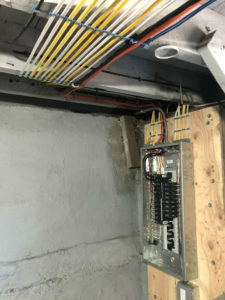 Because of the dangers involved, we urge you to contact Philip M. Brunelli Jr. master electrician to detect and correct all knob and tube wiring in your home or commercial business. Contact us today to get a quote for full knob and tube rewire. Having the peace of mind, knowing your electrical system meets the modern electrical code for safety, goes a long way. 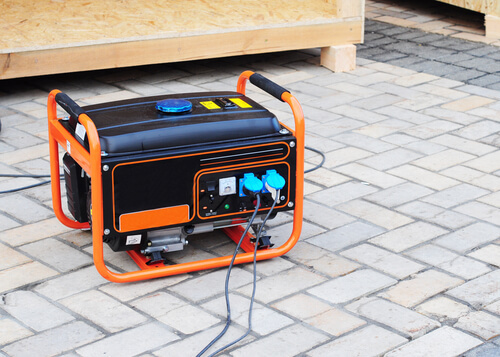 Outdoor power outlets can be a convenient source of electricity not only for leisure and entertainment purposes but for getting the chores done outside without the hassle of extension cords. 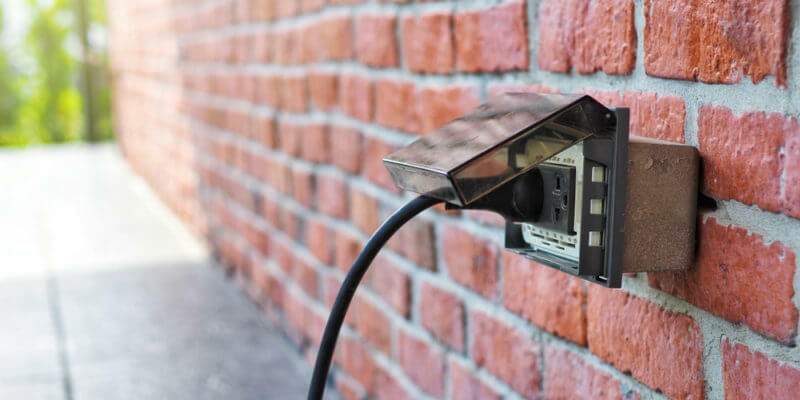 Electrical outlets outdoors make your life easy since they can supply your landscape lighting, power up a lawn mower, charge your phone, and so on. However, by failing to properly maintain these outlets, you’re risking to not only damage your equipment but create a dangerous hazard to your home and family. There are several tips electricians recommend to properly protect and maintain your outdoor outlets. First of all, there’s only one type of power outlets that’s okay for the outdoor use. Per requirement of National Electrical Code, the ground fault circuit interrupter (GFCI) power outlets are used for safety. This type of outlets is equipped with “TEST” and “RESET” buttons and has “WR” letters imprinted, meaning they are “weather-resistant”. Weatherproof covers are mandatory for outdoor outlets. The generic flip-up tabs often come together, but they only protect outlets from moisture and dirt when the outlets are not in use. One of the newer requirements of the National Electrical Code is so-called “bubble covers”. It’s just another weatherproof addition, protecting your outlets against moisture and allowing you to use them safely even during inclement weather. Bubble covers provide a deep lid all over the outlet, letting a plugged-in cord run out of the bottom. If you just moved into a new home that already comes with outdoor outlets, don’t just assume they are working properly. Make sure to schedule a safety inspection with us! The spring is fast approaching, and soon enough we’ll be spending way more time outdoors, enjoying the longer daylight and warmer weather. Protect your home and your family by ensuring the safe and proper operation of outdoor outlets. Here at Philip M. Brunelli Jr. Master Electrician, we can install, repair or inspect outdoor outlets in the area of Franklin, MA. Interior lighting is one of the essential elements of your home’s design. 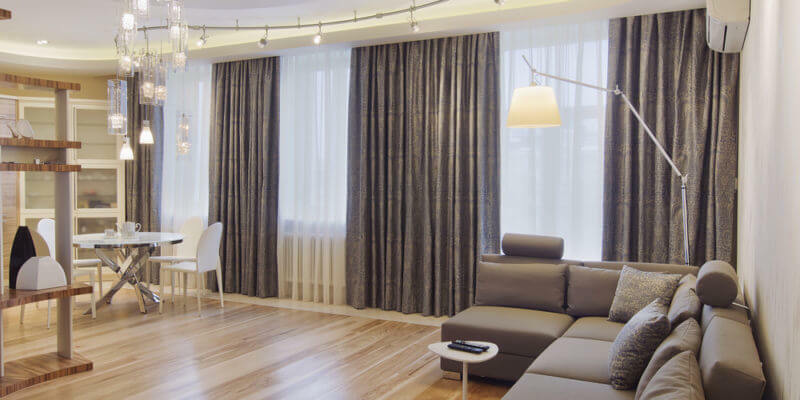 The atmosphere of a room can change dramatically depending on how the lights are positioned and what kinds of fixtures or light bulbs are being used. Needless to say, lighting also varies from room to room to accompany the functions and the feel of each space. The trends in interior lighting keep varying as the technology advances and preferences of new generations change. If you’re planning a remodeling this year, there are several new trends that might help you better understand your lighting needs and choices. As we know, fashion is a recurring cycle. Recently, we’ve noticed an industrial style reincarnating into a more elegant modern industrial. Rustic finishes, neutral colors, and other metal elements, associated with the traditional industrial style, tend to have an unfinished and warehouse-like feel. Industrial is coming back as a modern industrial, upgraded with the elements of elegance in a form of sleeker metals and new designs. Pendant lights and wall lighting fixtures in modern industrial style are perfect for kitchen and dining areas. Similarly to the industrial style, retro is bringing back the nostalgic designs in an upgraded form. Vintage Edison-style lightbulbs are one of the most trending, timeless designs, that now also come with LED lighting. They can add cozy and warm yet slightly industrial feel to your living area and kitchen. Unlike in lighting trends, the elements of Art Deco have been a consistent hit in the interior design. The early century modern art style is making a comeback with clean and sharp lines, the balance of art and form. Art Deco lighting fixtures are instantly recognized for their unique designs, combining geometric and functional features. Ultimately, this lighting style can make a bold art statement in any size, from an overhead centerpiece chandelier to a minimalistic accent table lamp. Over the past few years, LED has been pushing the old-fashioned lighting off the market. Typical light bulbs are wasteful and incandescent compared to an efficient and environmentally-friendly LED lighting. Its advantages are incomparable; LED is a long-lasting lighting option that saves power and money. It comes in a wide array of unique designs, styles, shapes, colors and extra features. The only drawback is that by saving money in the long run, the LED installation is more expensive compared to other types of lighting. Luckily, LED cost is expected to lower in 2018, so more homeowners will be able to afford it moving forward. No matter what the trends dictate, choose what you love and what fits your home best. If you need a consultation on different kinds of lighting options you consider for your new home wiring or remodel, contact the office of Philip M. Brunelli Jr Master Electrician online or call 508-400-5571! Thanks to the popularity of smartphone technology and tablets, electronic charging devices all run by USB power ports. For years, many of us have had to plug our phones and tablets and other devices into converter devices that would connect to a traditional outlet, but times have changed. While there are many charging options, and all of them still work well, USB wall chargers are gaining more popularity than ever before. USB outlets are small and accommodating, and the cables not only carry power but also data. 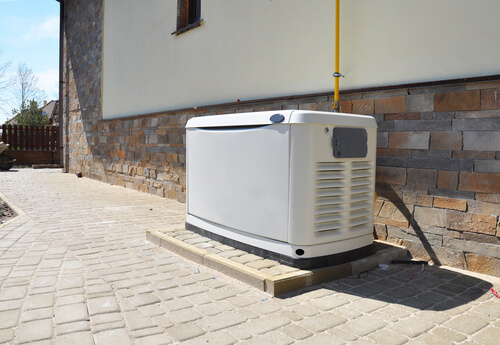 They’re beneficial for smart grids, convenient storage, and even solar power. And they’re universal. The benefits are clear. Many people consider USB to be the future of electricity, and it’s easy to see why. But in case you aren’t sure yet, here are some major benefits of installing a USB outlet into your wall. While some rechargeable devices require you to wait until their battery is full again before using it, USB ports allow you to charge and use the device simultaneously. That’s pretty convenient. Some laptops and PCs have limited ports, reducing the options for using these methods. But a USB wall charger will allow you to make use of its functionalities anytime you need it. Also, many detached USB ports can be bulky, thereby covering up other unused outlets. You won’t have to worry about that with a wall charger. Using a normal USB power outlet to charge your device through a laptop or desktop computer can provide you with a current of roughly 500 amps maximum. This could sometimes take a bit longer than plugging your device into a cord that connects to a traditional outlet – a not-so-convenient method sometimes. But having a USB wall outlet will allow you to charge faster with about 20 amps more than a desktop or laptop. This is especially beneficial to devices that are larger and have bigger batteries. The stronger current will allow for a minimal charging time of just a few minutes, making it much more efficient. Because of their sleek and lightweight designs, many USB ports currently on the market are easily lost or damaged. But a USB wall charger is much more durable – it doesn’t go anywhere. Sometimes a home office might require several things to be plugged in at once, creating a potential fire hazard with several USB ports, which can become costly. The wall port will last you for years to come and is made of durable, quality materials. 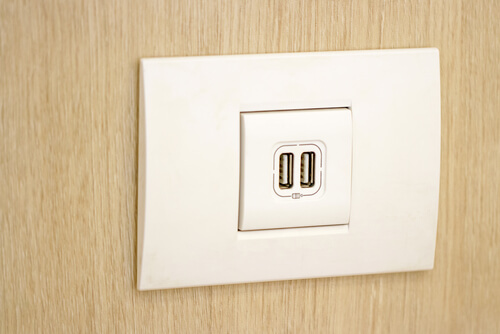 If you need more information or assistance from a qualified technician who can install a USB wall outlet for you in the greater Franklin, MA area, get in touch with us today. Philip M. Brunelli Jr. has been a residential and commercial electrical contractor since 1997, and we’ve wired over 600 brand new homes locally and serve our customers, large and small. Our technicians are highly trained, respectful, timely, and guarantee satisfaction. According to National Fire Protection Association, there are two basic kinds of smoke detectors, commonly found in Massachusetts homes. The first type is ionization smoke detector, which is primarily designed to identify flame fires. Its principle of work is based on a tiny amount of fire-sensitive radioactive material, trapped between two electrically charged plates inside the device. When this compound detects fire, the ions of the substance are reduced, which triggers the alarm sound to go off. Another common type of alarm is a photoelectric smoke detector, and it works better with smoldering fires. There are interfering light and a sensor installed inside a detector. As the smoke enters the device, it disrupts the communication of light to a sensor, which sets alarm into action. 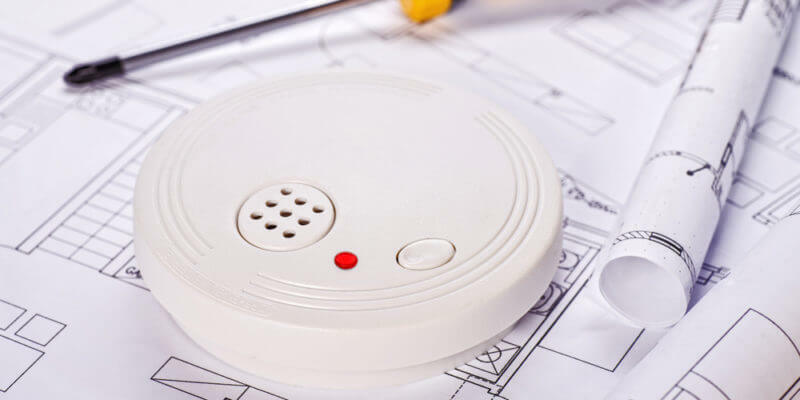 It’s highly recommended to have both ionization and photoelectric alarms installed in your home, as one can never predict the nature of a potential fire. NFPA recommends having several fire alarms on each floor of your house, especially in the bedrooms and outside each sleeping area. For the kitchens, we recommend ionization detectors to minimize the risk of alarm sound while cooking. Make sure to test your alarms monthly and change batteries twice a year. According to the US Fire Administration (USFA), it is recommended that smoke detectors be replaced every ten years. Philip Brunelli recommends you remove the alarm and check the date of its manufacture. If it’s been over 10 years since the date on the back, contact online or call us at 508-400-5571 for an urgent replacement of your smoke detectors! Should I Replace My Electrical Wiring? Old wiring isn’t necessarily dangerous, but you should make sure that your electrical system is up to date. If you’re not sure on the condition of your wiring, it’s worth it to hire a licensed master electrician to inspect your electrical system. If you notice any of these signs in your home, you should consider having your wiring replaced. Replacing electrical wiring is part of making an old home safer, more modern, and more livable. Your electrical wiring should be up to code, as many insurance companies will charge a higher rate if your home has out of date or knob & tube wiring. Since knob and tube wiring is an older electrical system, it has a lot fewer circuits and lacks ground wire for the circuits. 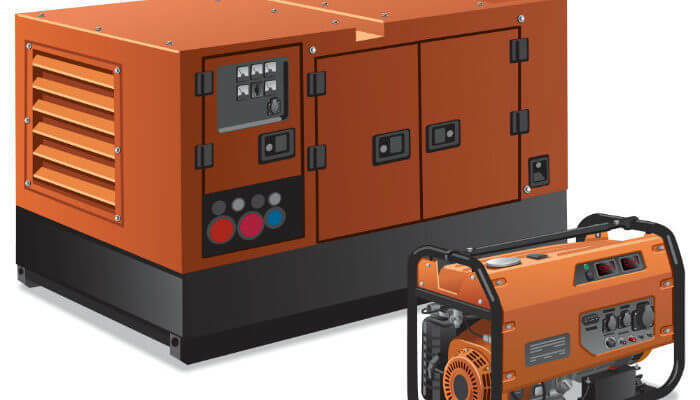 These problems can cause wires to short circuit or overheat.